Investors are pricing in Hillary Clinton as the next president and Republicans hanging onto control of at least one congressional chamber. A Donald Trump win would shock and scare Mr. Market. There’s also a small chance of a Democratic sweep, a less-discussed bearish outcome. 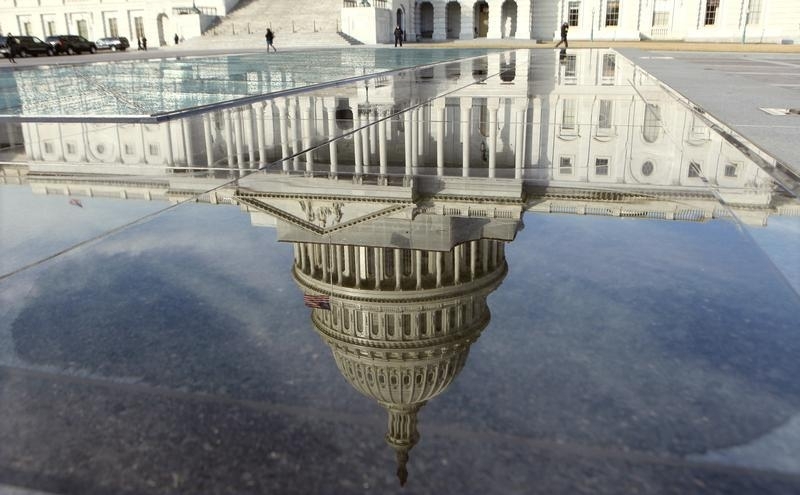 The dome of the Capitol is reflected in a puddle in Washington. February 17, 2012. Americans head to the ballots to vote for president and congressional representatives on Nov. 8.